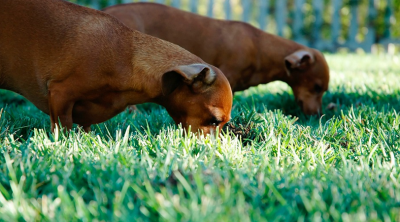 Unlike cats, dogs don’t do a whole lot to keep themselves clean, so you should try to establish a regular cleaning schedule with your dog in infancy. 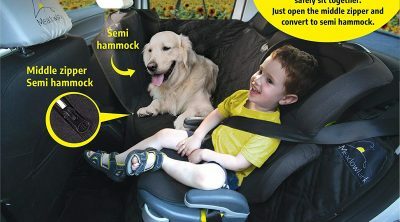 To do this, you’re going to need a high-quality puppy shampoo, such as Calm Sensitive Shampoo from Rocco & Roxie. For more cash-conscious puppy owners, there is Wahl’s Puppy Shampoo. There are, of course, plenty of alternative formulas for you to consider and we’re going to be examining the most noteworthy of them in this look at the best puppy shampoos. Canine shampoos are surprisingly complicated, which is why we advise anybody searching for one take the time to read the below buyer’s guide. In it, we’ll be examining some of the most important things to keep in mind when searching for the best puppy shampoo for your four-legged friend. There is no better way to ensure your puppy grows to dread bath time than to use a shampoo that causes them pain or discomfort when it makes contact with their eyes. To help foster a healthy relationship between your puppy and their bath, choose a puppy shampoo with a delicate formula designed to minimize discomfort should it find its way into your dog’s eyes. Just like our human shampoos, canine shampoos often feature a scent, so you should be careful to choose one that is powerful enough to counteract the odor of whatever has developed on your dog’s fur since its last bath. Be sure to choose a shampoo with a scent that you can tolerate, as your dog will likely spread it on your clothes and throughout your house. 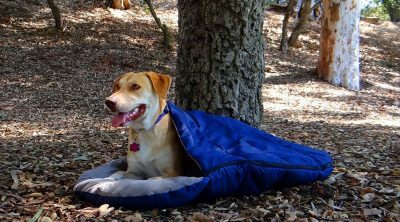 Your puppy probably isn’t going to be spending a whole lot of time exploring the great outdoors, so it isn’t absolutely essential that you choose a shampoo with flea prevention capabilities. 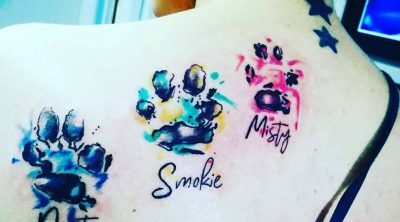 That being said, puppy owners who don’t mind spending a little bit extra could do worse than drop their hard-earned cash on a formula with flea protection. A 24-ounce bottle of Wahl Puppy Gentle is one of the most affordable formulas on the market. Despite this, Wahl Puppy Gentle promises an effect that can rival that of many far more expensive alternatives. This effect is achieved with no help from PEG-80 Sorbitan Laurate, a potentially harmful ingredient used in the manufacturing of several popular puppy shampoos. 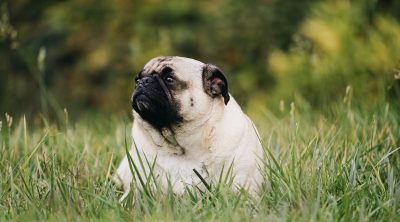 The absence of PEG-80 Sorbitan Laurate means that Wahl Puppy Gentle is unlikely to damage your puppy’s skin or cause them discomfort should it make contact with their eyes. 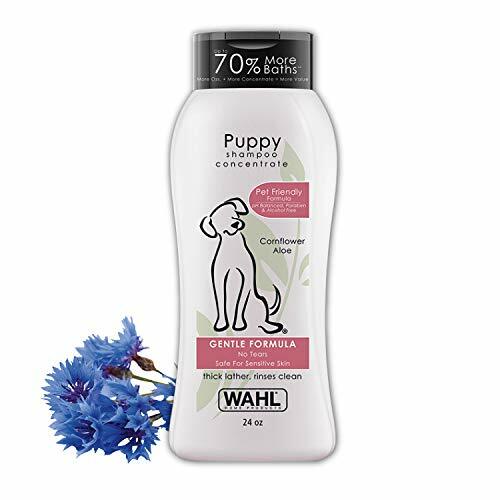 In its stead, Wahl uses a combination of cornflower and aloe vera, which allows its Puppy Gentle to scrub your dog’s coat with virtually no threat to their hair or skin. While complaints about Wahl Puppy Gentle are difficult to come across, a number of Wahl customers have complained about its packaging. The general consensus seems to be that Wahl needs to reevaluate the method through which shampoo is dispensed from the bottle as the current bottle design causes a great deal of shampoo to come out at once, which, of course, leads to it being blown through faster than necessary. Rocco & Roxie Calm Sensitive Shampoo is made using a totally natural recipe and does not rely on masking dyes or drying alcohols. Aloe vera extract, one of the shampoo’s primary ingredients, promises to moisturize your puppy’s skin while adding a glow to their still-developing coat. Meanwhile, restorative rosemary ensures your pup’s coat comes in thick and fast. If you’re a busy owner and don’t have a whole lot of time to dedicate to bathing your puppy on a regular basis, you will want to pay careful attention to this formula as it can be applied and washed out in a matter of minutes. The obvious drawback of Rocco & Roxie Calm Sensitive Shampoo is its high price tag. And while Rocco & Roxie Calm Sensitive Shampoo certainly provides a thorough clean, some who have tried it on their puppies have reported unpleasant odors lingering even after dirt and grime have been removed, so this formula cannot lay claim to having the strongest scent out there. 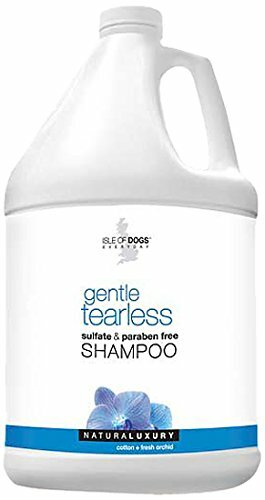 With a 16-ounce bottle available for a remarkable price, Isle of Dogs Tearless Puppy Shampoo comes $10 cheaper than the previously examined offering from Rocco & Roxie. However, a low price tag is not the only thing this shampoo has going for it. As you no doubt guessed from its name, Isle of Dogs Tearless Puppy Shampoo contains no sulfate or paraben, so it is extremely unlikely to cause your pup any discomfort even if it finds its way into their eyes. With its natural odor neutralizers, this formula promises not only to rid your dog’s coat of dirt and other unfavorable substances, but to tackle the odors caused by them with success. In the place of these odors, Isle of Dogs Tearless Puppy Shampoo leaves its manufacturer’s signature cotton and orchid scent. As an added bonus, Isle of Dogs produces this formula in the US, meaning it is held to a higher standard of health and safety than formulas manufactured in Asian countries. 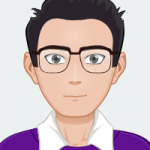 Many who have purchased Isle of Dogs Tearless Puppy Shampoo have voiced frustration over how difficult it is to create any significant lather using it, so it may not be ideal for deep cleaning jobs. It should also be pointed out that Isle of Dogs, presumably in an attempt to attain a low price tag, does not pay a whole lot of attention to the packaging of this shampoo and ships it in bottles which, according to a number of customers who have purchased it online, have a tendency to burst in transport. Honeydew Lavender Oatmeal Pet Shampoo boasts one of the most unique formulas of any puppy shampoo to appear in this article and, indeed, the market as a whole. As its name suggests, Honeydew Lavender Oatmeal Pet Shampoo uses oatmeal as one of its primary ingredients. This allows it to absorb unpleasant odors present on your dog’s coat without need for chemicals and other potentially harmful substances. With no parabens or sulfates to cause your puppy discomfort, you can be sure that your four-legged friend will not grow to dread bath time any more than what is normal for a dog. Despite its natural recipe, Honeydew Lavender Oatmeal Pet Shampoo promises maximum clinical strength relief, protecting your beloved pup from shedding and itching as its coat comes in. Honeydew Lavender Oatmeal Pet Shampoo is pretty impressive, which is why many who have tried it have bemoaned the fact that it is only available in a single size. Choose this formula and you’ll have to resign yourself to an 8-ounce bottle regardless of whether it meets your needs or not. To make matters worse, this Honeydew formula costs more than many other puppy shampoos per bottle, which may put it out of the price range of some puppy owners. Many dog owners either forget to use or straight up neglect to use conditioner when bathing their dogs, which can be a problem. A quality conditioner is particularly useful in puppyhood as it streamlines the development of a dog’s coat, which is why we advise puppy owners to purchase a conditioner as well as a shampoo. If you don’t trust yourself to remember to use both a shampoo and a conditioner while bathing your dog, we suggest purchasing this offering from Alpha Dog Series. As you can see from its name, Alpha Dog Series Puppy Shampoo and Conditioner works as both a shampoo and conditioner, ridding your puppy’s coat of dirt and grime while simultaneously softening it and ensuring its healthy development. 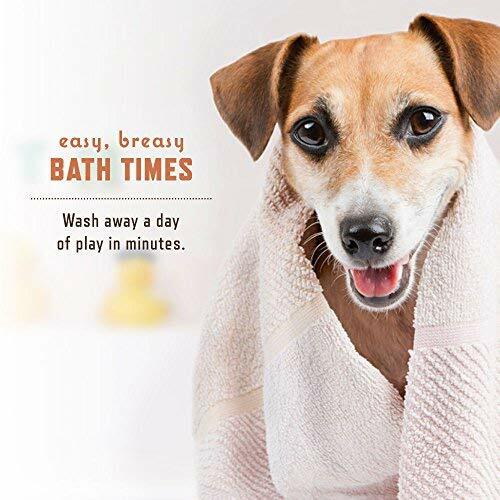 To further its appeal, this formula boasts a long-lasting fragrance, which its manufacturer claims will be present on your dog’s coat for up to two weeks after bath (though you obviously shouldn’t leave two weeks between baths). One of the most common complaints regarding Alpha Dog Series Puppy Shampoo and Conditioner is that the formula can be quite a challenge to lather. This, of course, means that it is not suitable for quick baths or particularly deep cleans. 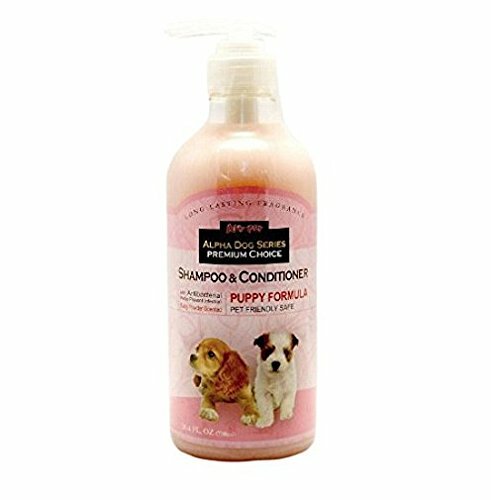 It is also important to note that Alpha Dog Series does not package this shampoo and conditioner combo in the most sturdy of containers, which has led to a number of units being damaged during shipping. 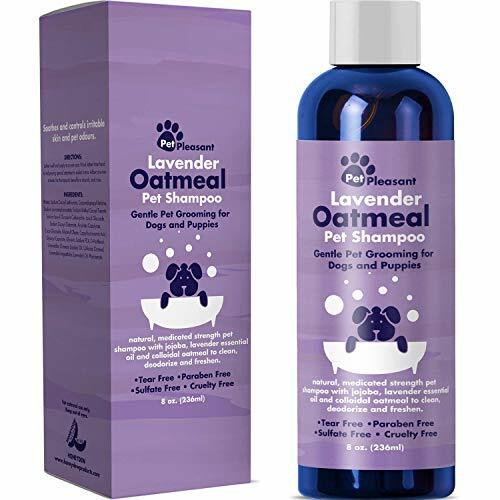 It probably won’t come as much of a surprise that there are quite a few similarities between Honeydew Lavender Oatmeal Pet Shampoo, which we looked at a little earlier on, and Honeydew Oatmeal Pet Shampoo, which we’re going to introduce you to now. 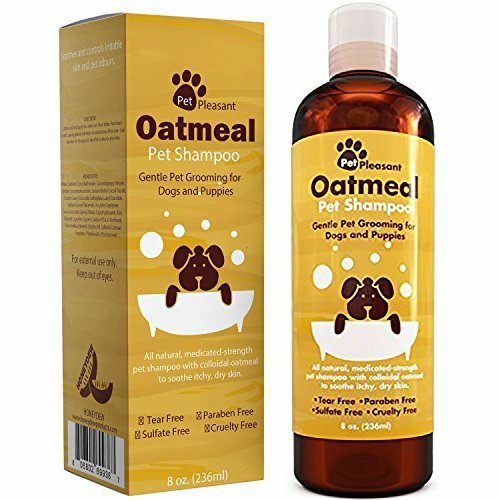 Much like its predecessor, Honeydew Oatmeal Pet Shampoo uses oatmeal as one of its primary ingredients, using it as a natural odor neutralizer and repellent in place of the potentially harmful chemicals relied upon by many rival brands for the same purpose. Unlike its predecessor, Honeydew Oatmeal Pet Shampoo leaves only a mild vanilla scent behind, which may make it more appealing if you have a thing against strong fragrances. As an all-natural shampoo, this Honeydew offering is free from parabens, mineral oil, and all artificial flavors and colors. 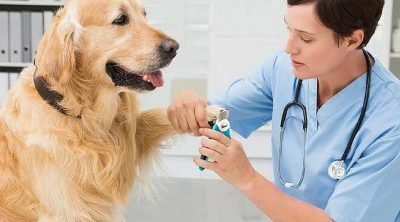 As a result, it is extremely unlikely to cause any irritation to your dog’s coat or skin and will not result in tears should it make contact with his or her eyes. Additionally, Honeydew ships this shampoo in BPA-free packaging which can be easily disposed of at no cost to Mother Earth. Honeydew Oatmeal Pet Shampoo shares a major flaw with its lavender-scented counterpart, that flaw being the fact that it is available in only one size. Choose this formula for your puppy and you must resign yourself to an 8-ounce bottle. Much like the previous Honeydew offering, a single 8-ounce bottle of this puppy shampoo is fairly expensive, so you should be prepared to widen your budget if you really want it. There are literally thousands of puppy shampoos to choose from, so it’s understandable that you would feel intimidated when trying to settle on the best puppy shampoo for your situation. While we can’t name one as the absolute top puppy shampoo on the market, the five formulas we examined in this article are virtually guaranteed to leave your puppy’s coat smelling and looking great. Of these five formulas, we often advise those on a budget to go with Wahl Puppy Gentle, as it boasts an all-natural recipe along with easy lathering, an area in which many inexpensive puppy formulas fall down. For those who have a bit of cash to play around with, we generally recommend Rocco & Roxie’s Calm Sensitive Shampoo. The great allure of Rocco & Roxie Calm Sensitive Shampoo, at least as far as puppies are concerned, is its ability not only to clean your dog’s coat, but to streamline its development, ensuring it comes in as fast and as thick as is optimal.